He has been interested in China since 1970 and U.S. politics since 1965. He has blogged for http://blogs.timesofisrael.com/author/jonathan-russo/ and on his own site http://www.javajagmorning.com/. Jonathan Russo as a lay scholar has been observing Israel and its policies since his first visit in 1966. He has been a successful media executive in New York City since 1973. The Long March was one of the most important events of the 20th century. 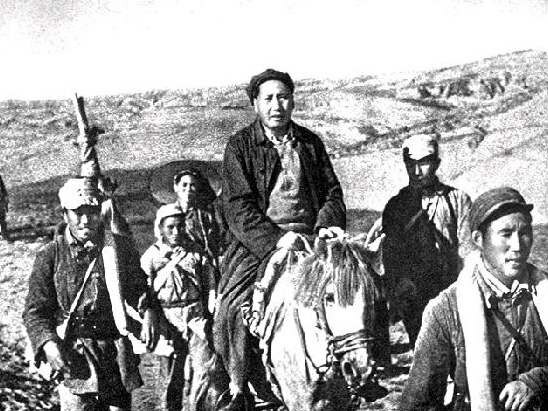 Mao Zedong's Communist army's retreat covered 6,000 miles of arduous Chinese countryside. Eighty thousand irregular troops started the march; one tenth of those finished. The retreat, which started in the Southern province of Jiangxi, has been historically taught as ending in the northern province of Shaanxi. 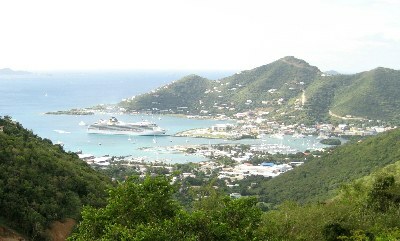 The International Consortium of Investigative Journalists (ICIJ) however, has now proven that the Long March recently ended in Road Town, Tortola, the capitol of the British Virgin Islands, where the "princelings" -- the sons and daughters of those founding (and current) communist officials -- have hidden their looted wealth. The ICIJ has even implicated the families of China's past and present presidents, Wen Jiabao and Xi Jinping, in this offshore banking cover-up. The duplicity and subterfuge enabling China's elite was, of course, facilitated by the usual international banking fraudsters, known to American tax cheats and their investigators as Credit Swiss and UBS. The moral, political and economic implications of this scandal are profound for China and the West for several reasons. Firstly, they show the whole world that any pretense that communism is a part of the Chinese Communist Party (CCP) - -the only allowed ruler of China's 1.3 billion people -- is a myth. "Communists" do not use capitalist banks in well-known tax havens to store the "people's currency." This sort of behavior is more reflective of a corrupt kleptocracy now exposed in Ukraine, Islamic backwaters or Africa than in an ideologically driven party with a Marxist legacy. This hiding of money offshore, which prevented China's citizens from learning about it, is really an updated version of the ancient Chinese tong system. The tongs predate Mao, so this is a replay of the past, on steroids. The tongs have largely disappeared from view, but they were secret criminal societies that used violence and repression to further their enterprise. They controlled the profitable rackets of their time: opium, prostitution, loan sharking and protection. Needless to say, today's China boasts a different array of rackets: telecommunications, contracting, shadow banking, and it could be argued all SOE's (state-owned enterprises). However, the enforcement feature is the same -- the CCP enforces discipline on speech, behavior, competition and other freedoms of information. Secondly, the secret accounts reveal the fear that the whole façade of CCP rule could come crashing down. The ghosts of Tiananmen Square must Hamlet-like haunt the CCP honchos. They certainly act insecure. I just finished reading For a Song and a Hundred Songs: A Poet's Journey Through a Chinese Prison by Liao Yiwu. The author was relentlessly tortured in a series of prisons for four years in the early 1990s for writing poems about Tiananmen Square. Today, the Chinese leadership is continuing its repression of any dissent, no matter how small. It seems they sense that one day the wheels may come off their leadership, and when it does they want to have cash in the BVIs ready. It's funny how the tables turn; They may be the "Paper Tiger" they used to accuse America of being. Tortola may be the new Taiwan, a sanctuary island for a fleeing political party. Additionally, the Chinese elite area covering their bets with homes in Paris, London and Los Angeles. My favorite thinker of the 20th century was George Orwell, whose visionary novel Animal Farm, plotted the stages of ideological degradation, now reflected by the Chinese Road Town stash. Think of Mao -- freezing, frightened, and facing annihilation -- as he led his communist followers to safety. He believed the peasants should rule and overthrow the vicious and corrupt warlords and elites that had neutered China into a feudal backwater. His vision for a workers' paradise was set firmly in the Marxist tradition. Then think of his Stalinist mistakes, the failed collective strategy, the starvation, the political purity purges and the nonsensical ideological drives. Currently, as in Animal Farm, it is as impossible to tell the difference between the pigs and the humans, and the current Chinese regime and the corrupt Nationalists they sought to replace. It's each man for himself in China's leadership. It is now clear that anti-corruption efforts are always going to be politics masquerading as reform. Repression of information and web attacks on critics is business as usual. And Western companies are learning that the tong method of negotiation is not pretty. The top Chinese leadership has done more than stash away trillions in hidden wealth. They've stifled the hopes and dreams of hundreds of millions of ordinary Chinese who believed, even for a brief moment, that the CCP could change human nature and care about the people instead of themselves. Road Town and all the other hidden offshore wealth shows that's not going to be the case.